The 20 hour sim-time regulation came just in time and now I am half way through the training. I am looking forward to fly the airplane starting with the next lesson until I am at the 40 hours of simulated instrument time required for the test. I like it how the pieces come together – the instrument rating doesn’t seem that far away anymore. 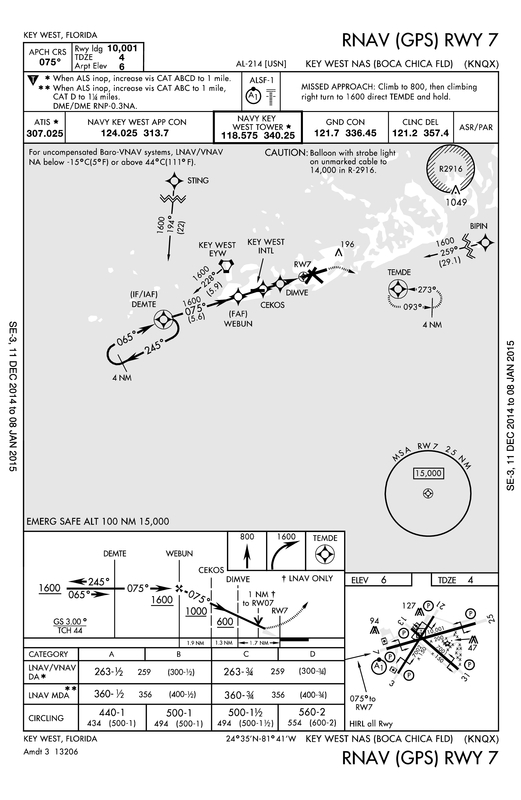 Hold East at Falcon VOR on radial 090 left turns. Today’s two lessons were summarizing my skills and we started out with holds. 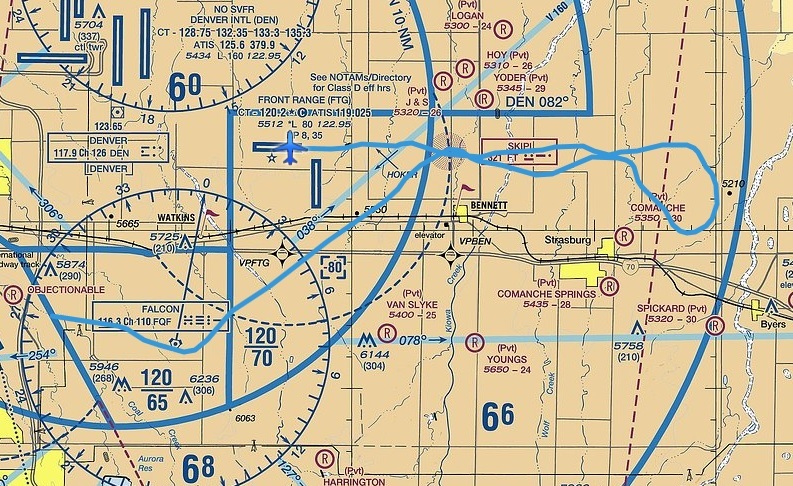 Figuring out how to enter a hold isn’t a mystery anymore, the challenge now is finding the wind correction angle and adjusting the inbound leg to one minute. Let’s say you have a tailwind on the inbound leg, after flying the outbound leg for one minute. Due to the higher ground speed you will arrive at the holding fix at say 45 seconds. The next outbound leg is flown for one minute and 15 seconds and this will hopefully make the inbound leg one minute. 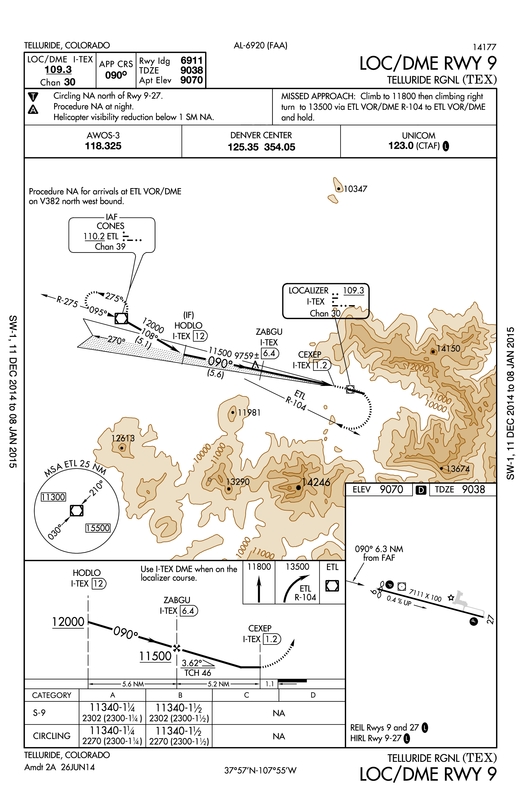 The wind correction angle of the inbound leg is doubled on the outbound leg. Since we fly standard rate turns the wind will push us way too far out, think about what happened if you didn’t correct your bank during turns around a point. When receiving a hold instruction it is always wise to have a pen ready. A little drawing of the hold will always help. Sketches of holds at an intersection and at a DME fix. Next challenge was a partial panel NDB approach. 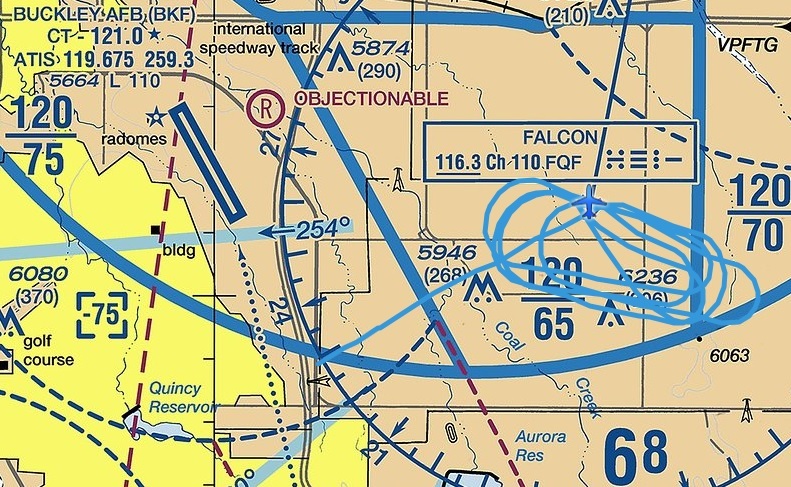 I know, non-precision approach gets a whole new meaning in that context. But actually, I didn’t do that bad. At least my habit of constant turning and correcting was gone, I tried hard to be patient and think before I made a correction. The failed vacuum pump didn’t bother me so much anymore, I noticed with satisfaction that my focus was on the approach. While I still find it difficult to do a lot of turns when flying without directional gyro, I am amazed that it works so well to time turns. 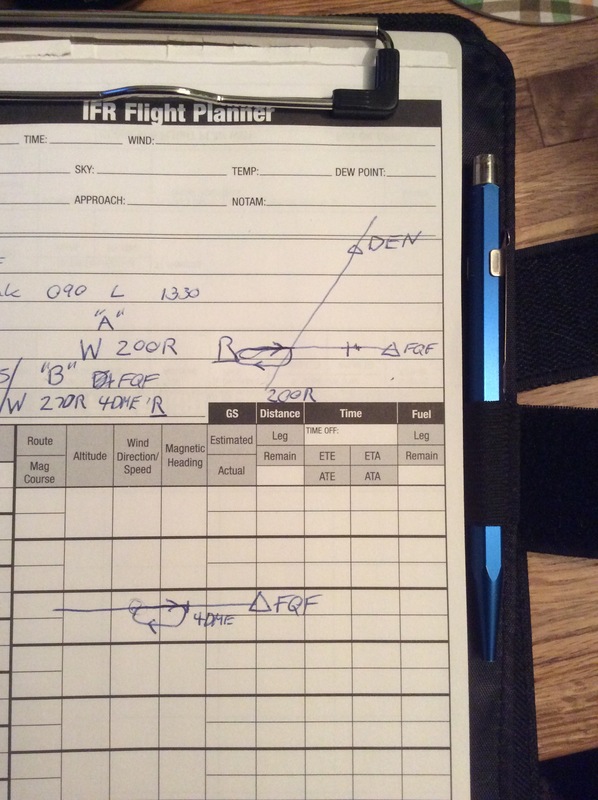 As always on a NDB approach, it is important to always set the ADF to the current magnetic heading. If this task is done continuously, such an approach becomes a lot easier and yet I still have to improve quite a bit. Knowing how the needle moves and how to get back to the correct bearing is just practice. There is no reason to use the expensive airplane or Redbird for that, I will simply use my Flight Simulator X on my laptop instead. 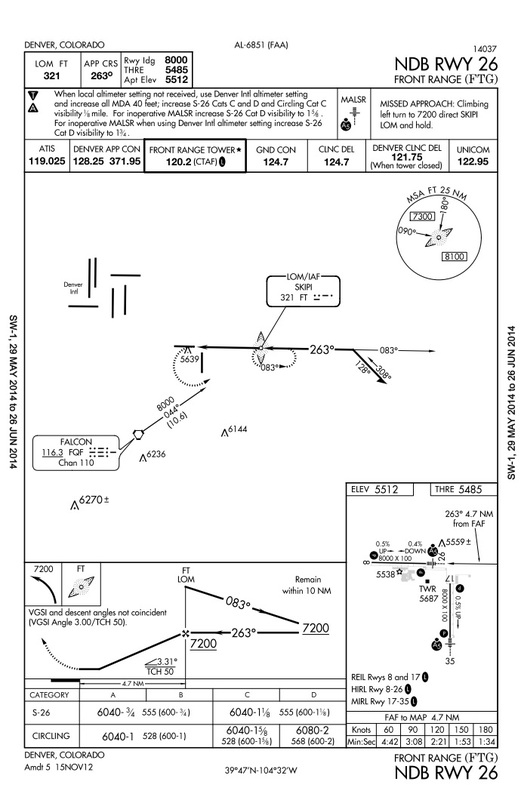 Partial panel NDB RWY 26 approach into Front Range, KFTG. NDB RWY 26 approach into Front Range, KFTG. 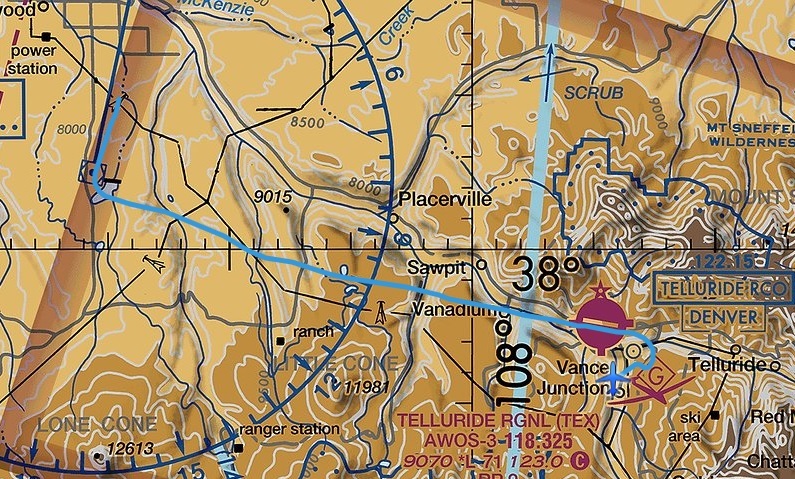 Next on the program was the localizer approach into Telluride, an airport just like Aspen – surrounded by mountains at a ski resort. The only issue I had flying the approach were the step-down altitudes. In my opinion, the Redbird simulator, as every simulator, is difficult to trim and I occasionally bust altitudes. I don’t expect this to be a problem in the real airplane but I need to get sharp for the test ride. As on the approach into Aspen, I wished the simulated Cessna was turbocharged. On the missed approach I had to climb to 11’800ft and I could feel the mountains coming closer, even through the clouds. To finish up at a warmer place and at an altitude our airplane could handle, we beemed ourselves to Florida. As you could expect, there was something like a hurricane going on at the time I was there. I flew a GPS approach into the naval airbase at Key West. Quite a bit of turning and twisting but it went great until the directional gyro got stuck and I had to use the magnetic compass for the last minutes. On my flight log you can see, just past Key West International, where I figured out the problem and turned back on course. 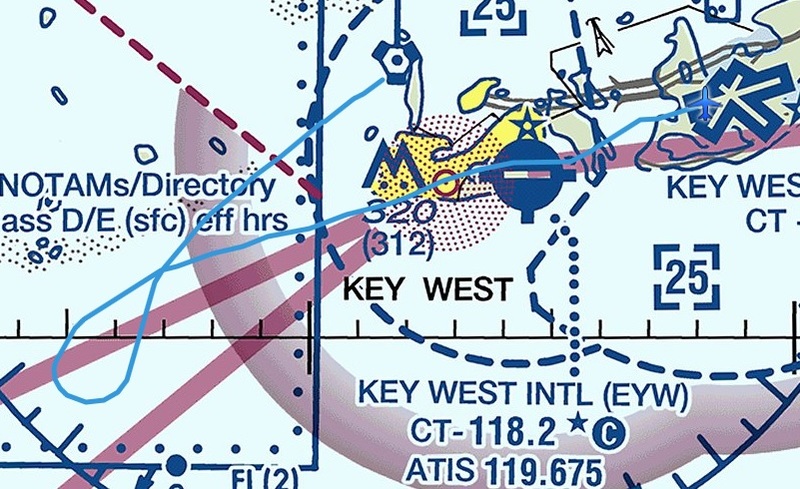 Flight log of the GPS approach RWY 07 into Key West.